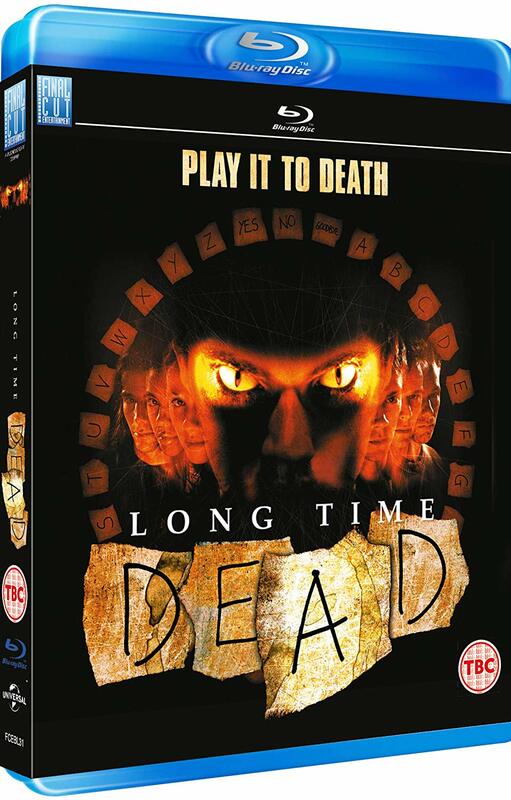 Director Marcus Adams’s 2002 British horror slasher flick Long Time Dead is finally making its way onto Blu-Ray format here in the UK from Final Cut Entertainment on March 25, 2019. There’s currently no special features listed for the home video release at this time, although we do have the cover artwork and pre-order line for you RIGHT HERE! Synopsis: “London: A group of students at an all night party dare each other to play a ouija board. But what starts out as fun rapidly turns into a nightmare, when the glass spells out the message: ALL DIE. You can pre-order your copy of Long Time Dead from Amazon.co.uk.